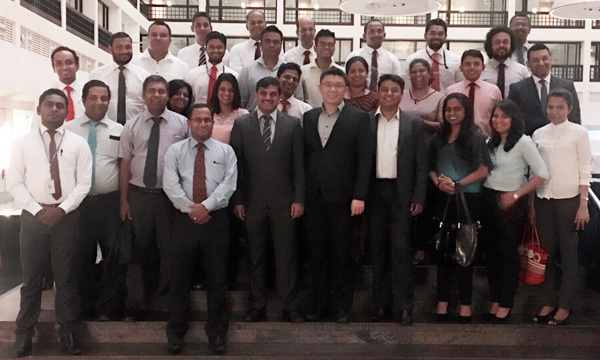 Mastercard recently hosted 50 senior electronic payments industry representatives at its Risk Management workshop in Colombo. The event is part of an ongoing series of knowledge-sharing sessions organized by Mastercard to share global learnings and gain local insights frommarket partners. The day-long workshop saw Rajeev Kumar, Customer Fraud Management, South Asia, Mastercard and Christopher Lian, Customer Delivery, Asia Pacific, Mastercard,share updateson customer fraud management and system releases for the upcoming quarter.Mr. Kumar started his session with a review of the fraud landscape,as well as an outline of Mastercard’s safety and security roadmap. He also shared updates on fraud attack vectors and revised standards of the Global Risk Management Program and for Acquirer Fraud Loss Control Programs. Mr. Liantook the audience through upcoming changes to mandatory release, product code and interchange programs, as well as Mastercard Digital Enablement Service (MDES) and optional release services. “Sri Lanka’s financial services industry is keen to adopt and roll out localized electronic payment technologies and solutions. At Mastercard, we support their commitment to innovation and have been working closely with them for about 30 yearsto bringworld-class, secure electronic payment solutions to market,” said R. B. Santosh Kumar, Country Manager, Sri Lanka and Maldives, Mastercard. Appreciating the insights shared by the Mastercard representatives, participants apprised them of market specific ground realities with regards to managing risk.